Bernie Moreno revealed his unique business acumen soon after his arrival in Cleveland, with the purchase in 2005 of a small, underperforming Mercedes-Benz dealership in North Olmsted. 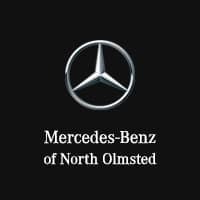 In just one year, the dealership earned a coveted “Best of the Best” award from Mercedes-Benz and would go on to earn that honor for 10 consecutive years, something no other Mercedes-Benz dealer had done before or has done since. As he built Bernie Moreno Companies into the largest-volume collection of luxury dealerships in the Midwest, Moreno showed a similar determination to serve the community. He embrace®s his responsibility as a community leader, investor, philanthropist and catalyst for economic development. He serves in leadership capacities with many local educational and charitable organizations, including the Cleveland Foundation, the Cuyahoga Community College Foundation, the Greater Cleveland Partnership, the MetroHealth Foundation, Destination Cleveland, Young Presidents Organization, and the Fifty Club of Cleveland. He has also served as Chair of the Board of Cleveland State University and served as co-chair of the Opportunity Corridor Inclusion Advisory Committee and as a member of the Governor’s Ohio Task Force on Community-Police Relations. Knowing that his adopted hometown, like his business, must continue to evolve and to rethink its strategies to remain successful, he is collaborating with scores of business and community leaders to mobilize a remarkable, community-wide effort to transform Cleveland into an epicenter of blockchain technology. The Blockland initiative has the potential to improve the lives of everyone in Northeast Ohio for decades to come. In recent years, Moreno has diversified his business with entrepreneurial start-ups and strategic acquisitions, including Hotcards, Votem, Ownum, Dryver, Drive Options, Flight Plan and others. Moreno was born in Bogota, Colombia, and moved to the United States at age 5, becoming a U.S. citizen at age 18. After graduating from the University of Michigan with a bachelor’s degree in Business Administration, he began his career in the automotive industry with the Saturn Corporation. Moreno then quickly rose through the ranks to become vice president for New England’s largest automotive dealer, before moving to Northeast Ohio. Bernie and Bridget Moreno live in Westlake, Ohio. They are the proud parents of four children.